IMVU requires the .ogg format for your sound files to work in the imvu client which means first we have to obtain our sound and then convert our sound to the .ogg format. 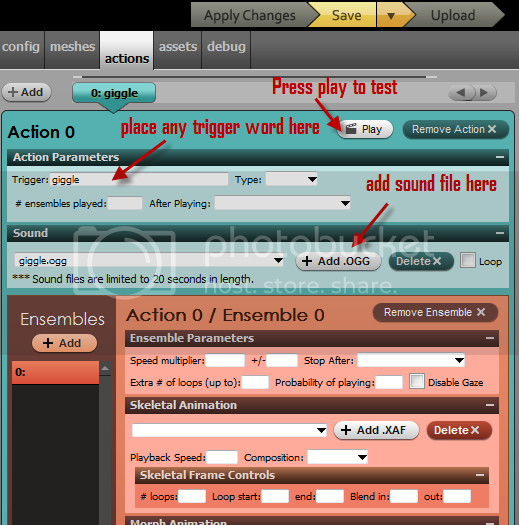 There are a few ways to obtain your sound files. Be creative in your sounds, it need not be only your voice you could find all sorts of sounds around your home. Be sure to remember files on imvu have a 20 sec limit. If your using windows your recorder will save as a windows media file. * There are many places on the net that offer sound files, be sure that you are are able to purchase the license for commercial use. Many of these files are in formats unsuitable for imvu. avi, wma etc so they will need to then be converted to the .ogg format for imvu. 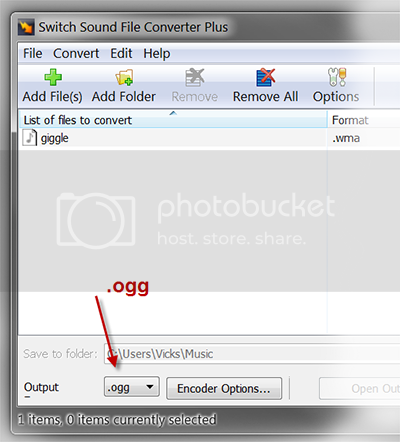 * next step is to convert your sound file to .ogg format. youll need a program for that. I use Switch sound file convertor, but there are many programs out there that you can use for this purpose. Once you have these steps done, we are ready for create mode. Now comes the easy part….yay !! 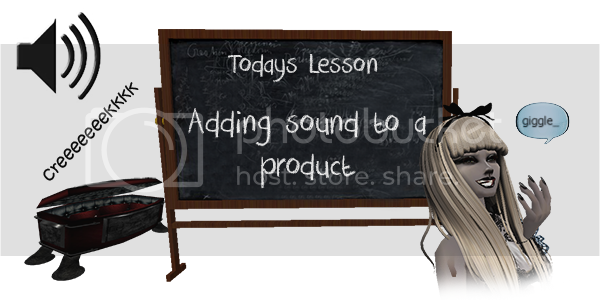 The first thing you need to do is open up a product that you wish to derive from, for this tutorial we are going to use the imvu empty Female clothing (2191901) but you can add sounds to any product you wish. For example if you want to add creaking sounds to a coffin when it opens you can do just add it when you derive the coffin and so on. So open up create mode and choose the Derive New Product and go to the Empty Derivable’s tab, select the Female clothing and hit the yellow Go button. The trigger box is where you can place any word you want, this will be what you write into the imvu chat box to have your sound play and the one that shows up if you right click your avatar in the imvu scene. If this box is checked the sound will loop over and over. Click this button to test out your sound but be sure you have hit the apply changes first. If this is a product for your avatar and you want it to be compatable for both male and female avatars, you will need to head to the config tab. All that is left is to save and submit your product. imvu has a file upload limit of 2mb. and these are just a few ideas.